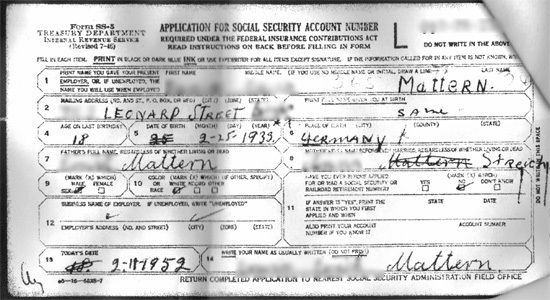 One of the most valuable forms I’ve come across in my research into my immigrant ancestors has been form SS-5, which is an application for a U.S. social security number. You can learn more about this form and requesting one from one of your ancestors on the Social Security Administration’s website. But note there seem to be newer rules in place than when I first requested documents (as they did include the parents’ names on my copy even though they weren’t 120 years old yet). So your mileage may vary. Have you had any luck using the SS-5 form of an ancestor to discover something new — maybe even the next branch in your family tree?